We’ve made an exciting change to our pricing policy. The pricing of the Premium Edition of Studioware has been greatly simplified. Now the Premium Edition of Studioware is simply $20 (USD) per month. The Premium Edition allows for unlimited students, staff, classes, schedules, enrollment (including online enrollment), invoices (including electronic invoices that can be sent via email and paid online), and much more. Please visit http://www.studioware-online.com/Pricing to view the new pricing policy changes or http://www.studioware-online.com/Logon to logon to your Studioware account. Adding a class to Studioware has been made easier. The class name and description, schedule, tuition, instructors are now all set in one convenient web page. The class listing has also been simplified. It’s a lot easier to see all of your classes, schedules, and enrollment. The links beside each class allow you to Enroll Students, View the current enrollment (including the waiting list), reschedule a class, delete a class, or view the new Class Roll Report. We hope that you will logon to Studioware today at http://www.studioware-online.com/Logon and check out all of the new features. If you have any questions or comments about Studioware, please contact us at support@Studioware-Online.com. We’ve had a busy Spring with Studioware with over 50 Businesses signing up to try Studioware. I welcome all of the business that are evaluating Studioware and if anyone has any questions or comments, please don’t hesitate to reach out to me (send me an email at support@studioware-online.com and I will promptly reply). Now is the perfect time to use Studioware to help you manage your Spring/Summer classes. 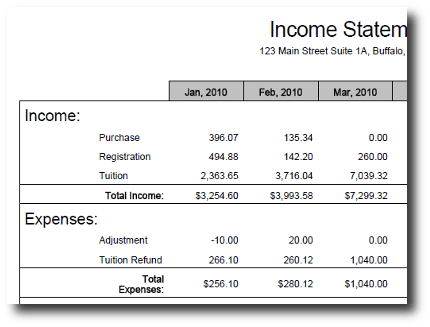 Online Bill/Invoice PaymentsConsider this scenario: At the beginning of the month, you log into Studioware and click on a button to generate your student/families/payee invoices. The invoices are automatically generated and emailed to the payees. The email contains the invoice details and a “Pay Now” link. You students/families/payees simply click on the “Pay Now” link and you start collecting money! 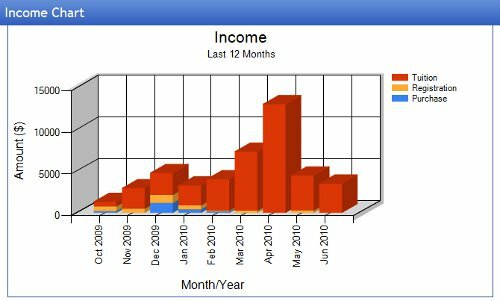 Studioware tracks the status of all invoices and provides reports of unpaid balances. Studioware makes running your business easier. You are currently browsing the archives for the Studioware NewsFlash category.